Thanksgiving is over and now it is time to get back into shape. There are many ways to work off your newly acquired Thanksgiving calories. One great piece of exercise equipment that is useful for most fitness activities is a set of CanDo® Exercise Band Loops. One exercise to do with your band loop is the plank jack. The plank jack targets the abs and glutes. To perform this workout, start by placing the resistance band around your ankles and get into push-up position with your hands shoulder-width apart. Make sure your hips are lifted and aligned with your back. Next, extended both legs out to your sides until you feel a stretch in your core and glutes. Then bring your legs back to the starting position. This move should always be done quickly to keep tension in the core. Do this for 8 to 10 repetitions. 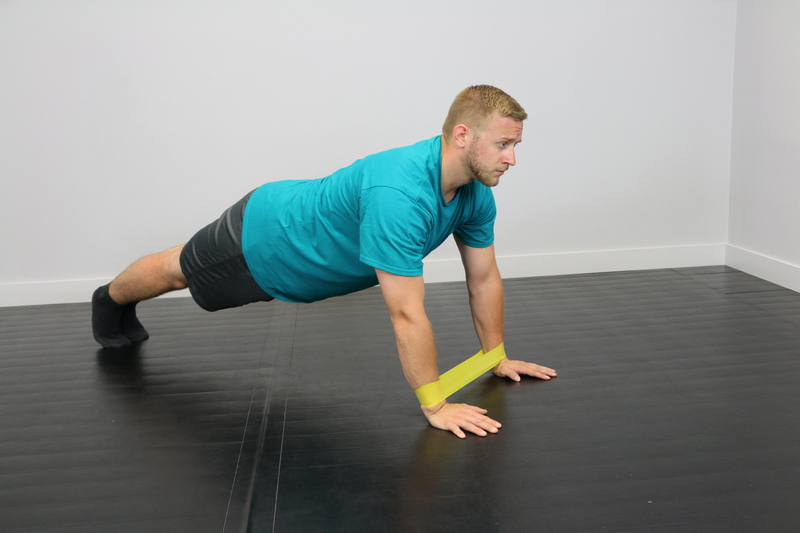 For a good upper body workout, try doing a push up with the band loop. It is a similar position as the plank jack but targets the chest, triceps and shoulders. Start by lying flat on your stomach with your legs straight behind you and toes tucked. Place the resistance band loop around both of your wrists. Then, do a push-up against the band to full extension, keeping your back in a straight line. Slowly bring your body back down to the ground and repeat this for 8 to 10 repetitions. For more information on our selection of CanDo® Exercise Band Loops, click here. For more information on loop band exercises, click here.